Why Purchase a Used Motorcycle from Texas Best? Who is Texas Best Used Motorcycles? Texas Best Used Motorcycles is the latest offering of the No Limits Powersports family of dealerships. No Limits has been associated with the retail motorcycle business since 1996. We started out in a 6,000 sq. ft. facility across from the Cowboys Stadium in Arlington, Texas. We built our business on quality relationships with quality people. With the dawn of the internet, our business exploded! In 2003 we bought a new building in the southeast corner of Six Flags Mall, just minutes from Texas Ranger’s Ballpark. Our state of the art, 27,000 sq. ft. facility provided room for our growing business. After nine years at Six Flags Mall, we outgrew our facility. 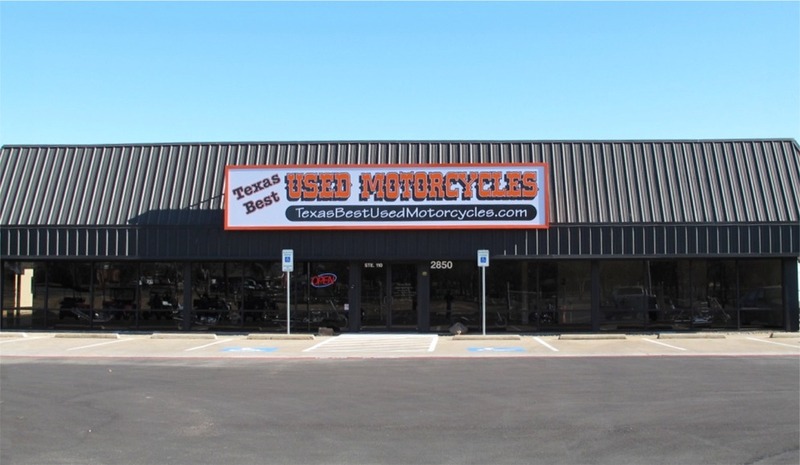 Accordingly, we decided to open Texas Best Used Motorcycles as an additional outlet for our growing customer base. What makes Texas Best different from other dealers? We distinguish ourselves from other dealers in variety of ways. The single most important reason is that we sell fun! Over the past 23 years, we have bought and sold approximately 25,000 motorcycles and cars. We opened Texas Best in December of 2012 as our fun outlet. All of our non-motorcycles are sold here. If it's cool, we sell it. When you come in to Texas Best you will find value priced vehicles, a relaxed atmosphere, and an exceedingly simple sales process. Come by our showroom today and let us show you why we are different from any dealer you have ever experienced. If you're in the market for a used motorcycle, be sure to check out American Motorycle Trading Company.